Below you will find informations about the events taking place in Luosto and Sodankylä in the following period. Martin Pilkki ice fishing event is a legendary event it is not just an ice fishing competition, but also a family event, with live music and other entertainment enhancing this day out. We offer you Karaoke and Top chef Antti's pizza only for 9,0€! 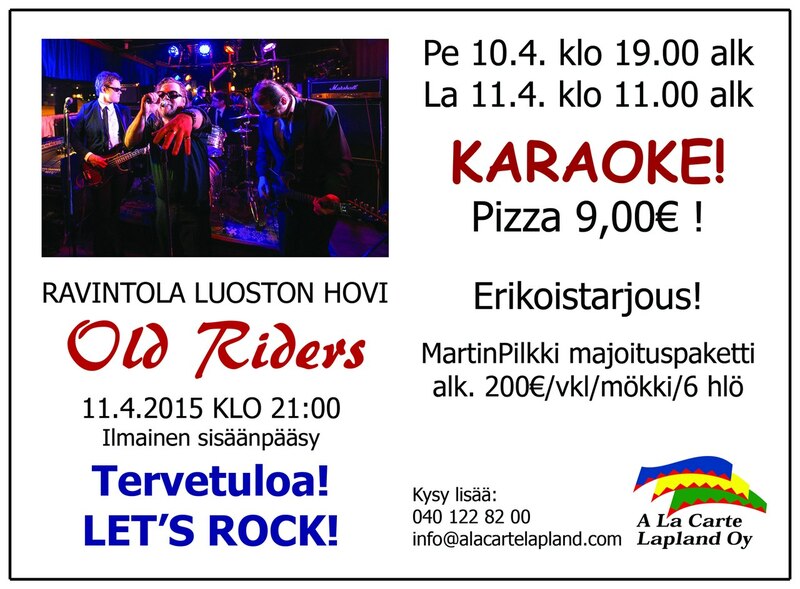 And in the evening there will be a live band 21.00 Legendary OLD RIDERS!